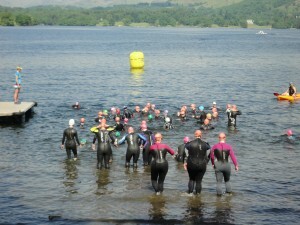 10,000 Swimmers take to the Water. Top tips for the weekend – 10,000 swimmers, one stunning venue – People doing amazing things. 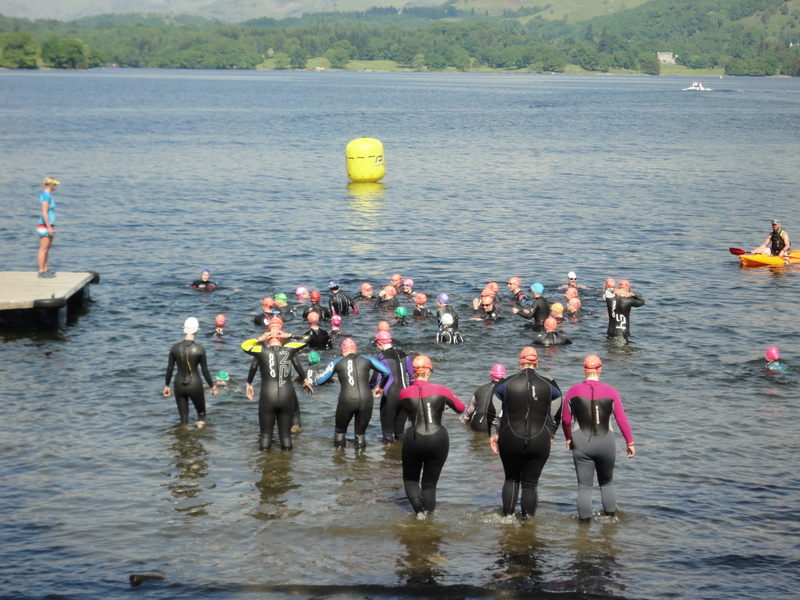 This weekend sees the return of The Great North Swim, where over 10,000 swimmers take to Windermere over distances of half mile, 1 mile, 2 miles, 5km and 10km. For everyone taking part in the weekend, there are generally a lot of nerves, excitement, fun and laughter involved. 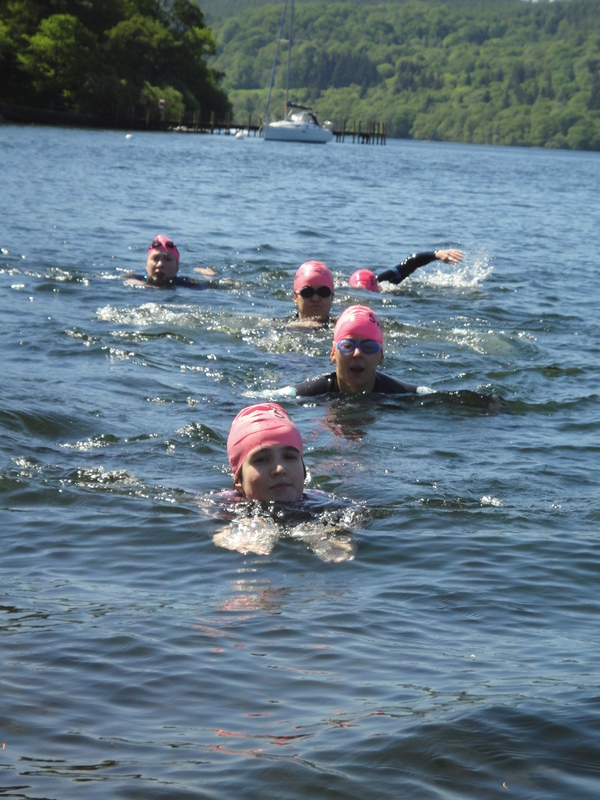 Some are taking to the water for the first time, others are raising money for charity, whilst a few are looking for a personal best time within the event. What ever event you are swimming and for whatever reason the key objective here is for you to enjoy your experience. The event has an amazing atmosphere, with so much going on both in and out the water. However with less then a week to go, for those that are feeling a bit nervous – I wanted to give you all some last min advice before your big day. 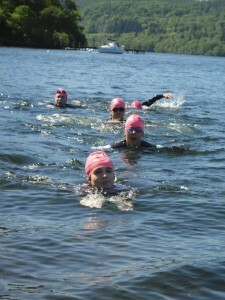 Great North Swim Training Day. 1 – Plan and prepare – Eliminate any unnecessary stress. Plan and prepare the things within your control. 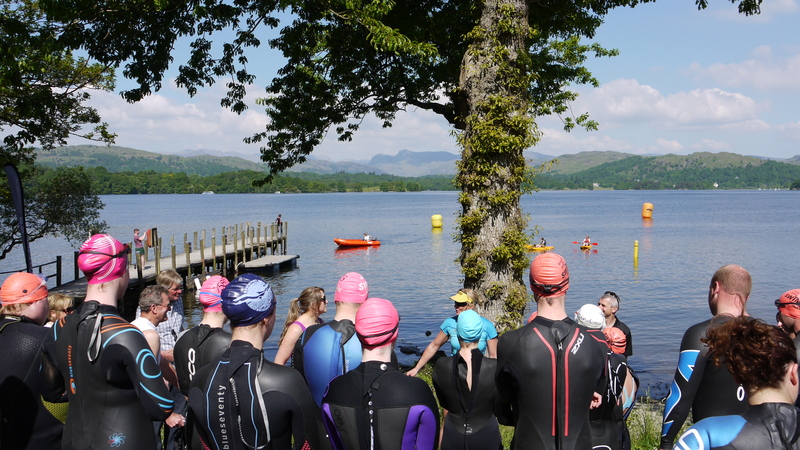 Make sure your journey is planned and you arrive in plenty of time, the Great Swim will have sent you out details of the day – So take a read through this as everything you need to know is in there. Make sure your wetsuit, googles, suncream, medication, food and drink are all packed and ready. Basically get all your kit together a few days before – so there is no last minute rush. 2 – Control the controllable. Often people will spend a lot of time worrying about the weather and water conditions as well as the other people participating in the event. As you have no control on any of these factors, a top tip is to focus on yourself. Make sure you have eaten normally, drunk enough, your wetsuit is on properly and you have your googles, hat and timing chip. Then focus on the positives: the training you have done, the great experiences you have had so far and how amazing it will be whilst swimming. 4 – Anxiety and Breathing. Most of us have experienced nerves, excitement and anxiety at some point in life. Whether we are seasoned athletes or new to the open water, the excitement and challenge of the distance ahead of you can create all sorts of feelings. The best thing to help control these are to focus on your breathing, you want to remain calm and take nice easy breathes in and out – Try to breathe as normally as you can, imagining you are relaxed, happy and calm. This also applies when swimming, blowing easy bubbles into the water as you exhale and then when you come to take a breathe in you can will automatically take an easy breath in without gasping. Think cause and effect. Easy in, easy out = relaxed successful swimming. Keep it simple. The importance of pacing…this is vital no matter who you are, or what distance you are swimming. Normally at the start of an event we all are full of energy and adrenaline, often what this means, is at the start we all head out into the open water at super speed. Then half way round we start feeling the effects of starting off too quick. A quick tip for you all is to think negative split the distance – This basically means you try and swim the first half of the distance slower then the second. If you do this you can then pick up the pace and give it your all, but you will finish strong and feel much better. 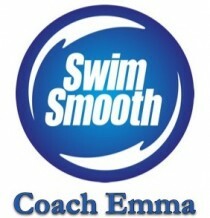 6 – Swim your own swim. Keep to the plan. With over 10,000 people taking part in the GNS it would be easy to start thinking about the other people participating, what they are doing, their prep, what they are eating etc, how fast they may be. The important thing to remember here is – Keep to the plan, be confident in what you have chosen to eat and drink pre event, keep focused on your plan with entering the water and the speed you want to swim, basically ignore what others are doing around you. The key here is to think of all the points above: positive thinking, breathing, pacing and most importantly remembering why you are doing this. Keep to the plan. The most important thing is to celebrate your success after your event, tell people about your achievements, you will not only get the support you deserve but also may motivate others along the way: Check out the Ripple effect. Remember to smile your way around the course, it is an amazing venue, with a fantastic supportive team and no matter what… YOU are doing an wonderful thing. Feel the fear and do it anyway, this is your day!! Enjoy and I will see you on the finish line. Wow what a great 7 months.